One of my friends from college is expecting her third baby in May. We are going to have a moms afternoon and celebrate her and her baby girl in a few weeks. With a third baby you pretty much have more than you are going to need if you saved everything so I was thinking of ideas for her two oldest to keep them busy when she needs and break or to sit down and nurse the new baby. So I’m making….. I spy bags. They are super simple and fun. I made a few for my son about two years ago. 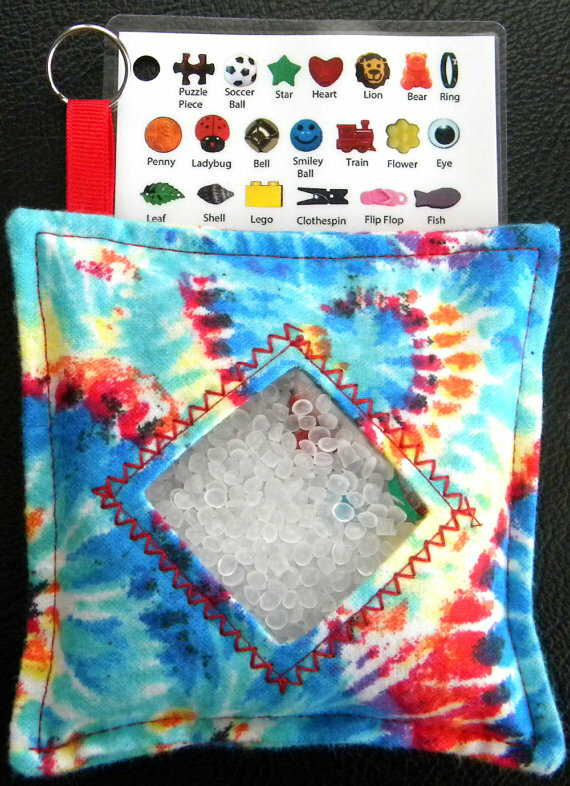 To make a bag you need to collect a dozen or more small items to “spy.’ Then you can simply sew what is essentially a bean bag with a plastic window and fill it with your “spy” items and a filler like rice, beans, bean bag balls etc. You can also include a card that lists what is in the I SPY bag or not. Kids can play by themselves or with a friend. Not feeling crafty? Search I SPY Bag over on ETSY and you will have so many cute options. If you are feeling really creative you can make your I SPY bag in shapes or have a theme! Here are a couple I saw that I thought were super cute!